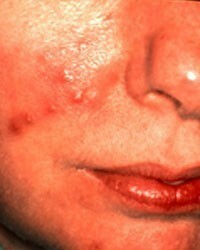 Rosacea is a common but poorly understood long-term (chronic) skin condition that mainly affects the face. 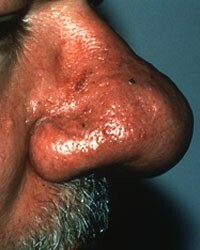 Symptoms begin with episodes of flushing (when the skin turns red). What is the symptoms of Rosacea? As rosacea can affect your appearance, some people find they experience feelings of low self-esteem or frustration. You should speak to your GP if you are feeling depressed. 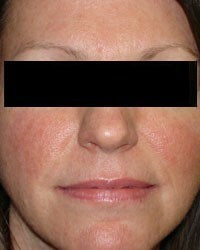 What can Renu Skin Clinic offer? We can treat and manage Rosacea with our LED Dermalux treatment as well as our skincare products by ZO Skin Health as well as POM(Prescription Only Medication) treatments. Facial Redness (Erythematotelangiectatic Rosacea) Rosacea sufferers often experience flushing and persistent facial redness. Small blood vessels may also become visible in some patients, and stinging, burning, swelling and roughness or scaling may occur.